Commentary: Hey, it's Wedge's robot! R2-A3 may be wrong here. 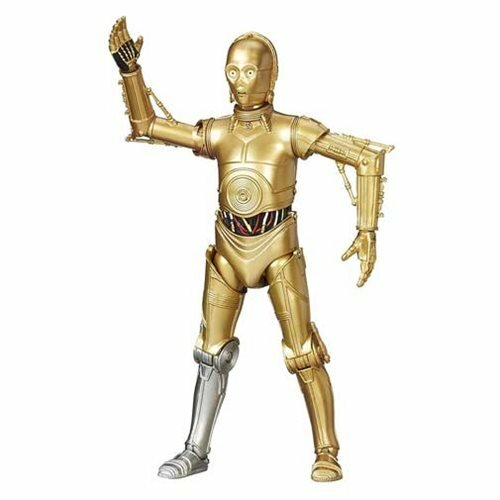 It's also possible something else was wrong, but generally speaking I've seen models and the previous 3 3/4-inch action figure as being a silver dome droid with red panels. 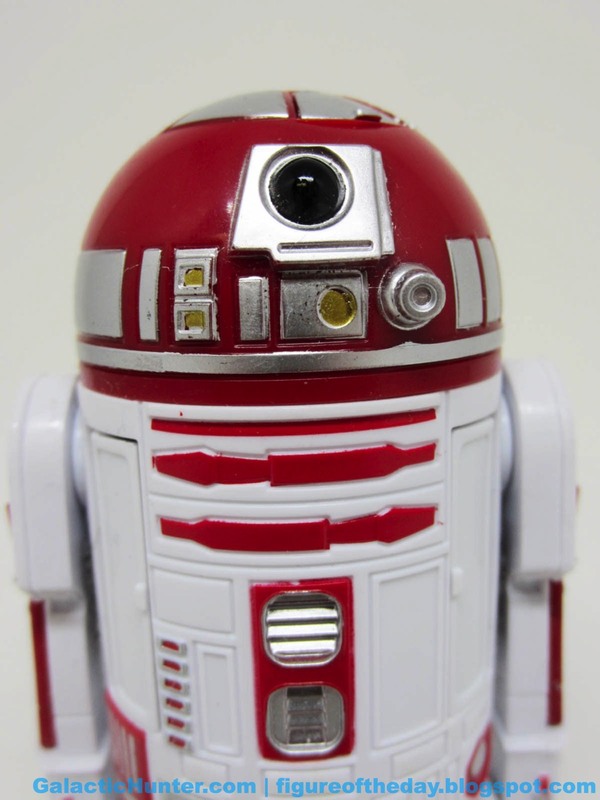 This 6-inch release is a red dome droid with silver panels. Mistakes happen, and obviously there is an error somewhere - because I'm old, I assume it's this figure. If you know better, please email me and/or leave a comment. I know "wrong" is relative, but it's also possible things don't match from one shot to the next. My research seems to favor the silver dome. This one looks good for what it is. 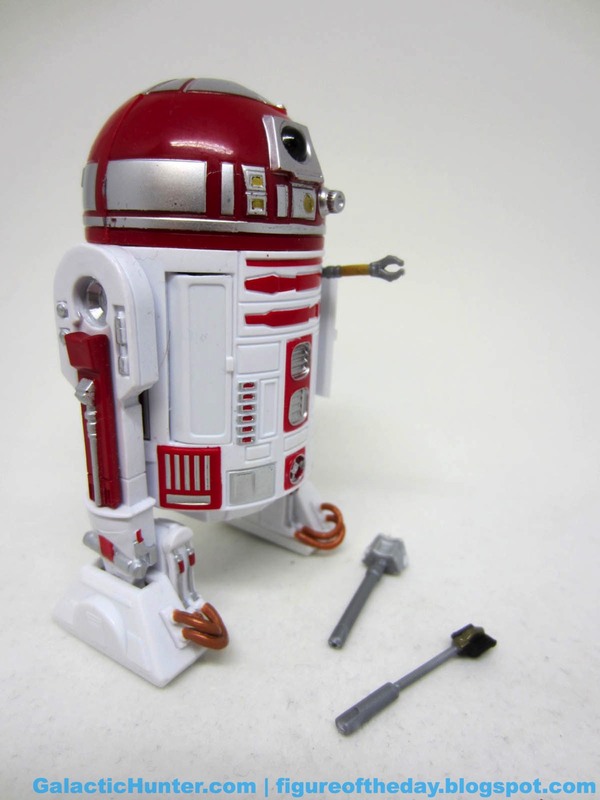 When it comes to Astromech droids, I'm a little more forgiving of errors because they can always go back and do it again later. If this one is wrong, it's still a sharp design - the silver panels pop nicely against the red dome, and the body's white plastic seems to look clean. The dome has some golden highlights in those silver panels, plus a couple of black dongles which really just fade into space. (It really doesn't add much.) 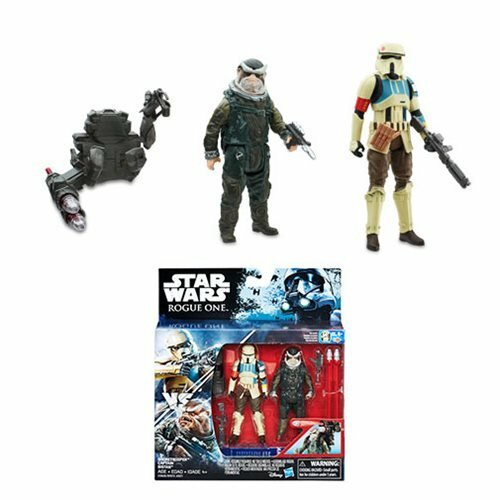 The figure is very much a traditional Astromech droid without too many fancy flourishes. 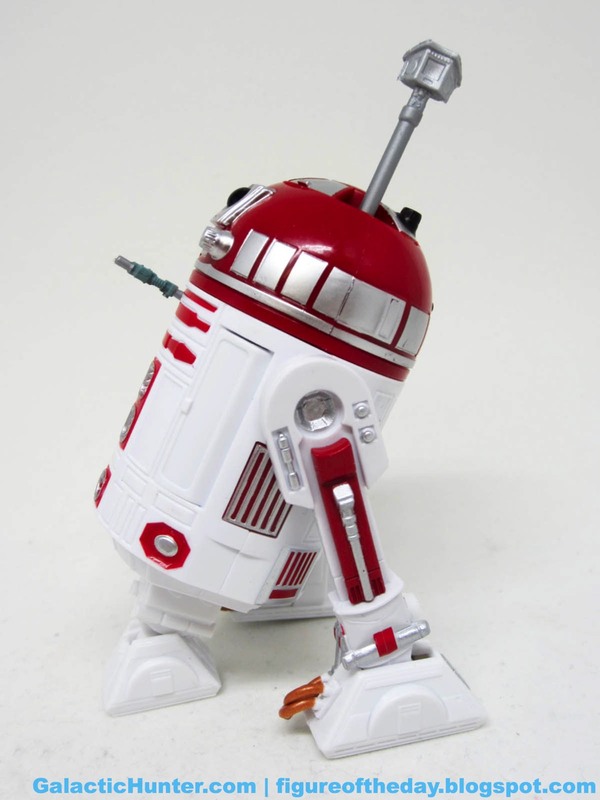 Plain white bodies with panels painted similarly to R2-D2 tend to be the norm, and the back of the fiugre is pretty blank below the bottom. You'll see some nice silver and red boxes, but it's nothing that'd knock your socks off and I assume minimal (if any) reference was available to those doing the paint guides. If you've bought one 6-inch scale Astromech droid so far, you basically have seen them all. The round dome has three plugs, two of which deserve a fine certificate that will demonstrate their merit. Two scopes can plug in on top, with the third being a conduit to store Luke's lightsaber which, of course, is not included as this is not R2-D2. The body has two opening compartments with painted flip-out arms, plus all three legs have rolling wheels. 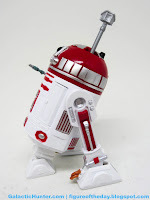 The head turns and the central leg slowly descends, replicating the mechanism we saw on so many of the smaller droids. You can show it to all your friends. 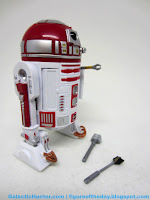 If you can get past the fact that this may not be the R2-A3 as described on the packaging, it's a perfectly nice robot. I'd rather Hasbro have picked something either more colorful or more accurate, but it's no slouch. It's more colorful than what we probably should have received, and as such I can say it looks more interesting on a toy shelf. Since most Rebel droids are fairly obscure, it's unlikely anyone is even going to be aware there might be a problem unless you're me, or you're you, and you're aware of such controversial topics. Collector's Notes: I got mine from Toys R Us. 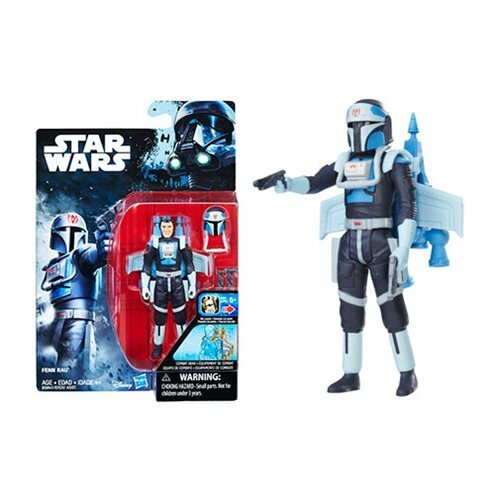 This was originally slated to be a San Diego Comic-Con exclusive as part of the Toys R Us offering, but it didn't make it - so it hit stores almost immediately following the show. If you google "wedge antilles astromech" the very first picture shows wedge in his cockpit with this color droid behind him. Red dome. It's an isssue from the film. 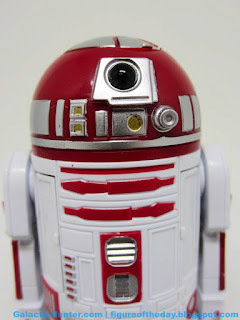 The droid dome used for cockpit closeups with Wedge looks like this figure. The dome on the Wedge's X-wing model looks like the earlier 3 3/4" figure. So now we have both, even if they're in different scales.